A staple in every top make up artist’s kit, these bestselling palettes have attracted a dynamic cult following – they’re the secret to achieving professional results at home. In seven flattering colour options, this palette stars six matte and shimmering eyeshadows that offer high-performance pigment payoff and supreme staying power. From ‘Cashmere’ to ‘Amethyst’ colour line-ups, this will quickly become your go-to palette, plus the unique shape folds into a working easel to make you feel every inch the pro make up artist. Perfect for shading, highlighting and defining eyes to a professional-standard finish, Viseart’s Theory Palette will transform your make up artistry. 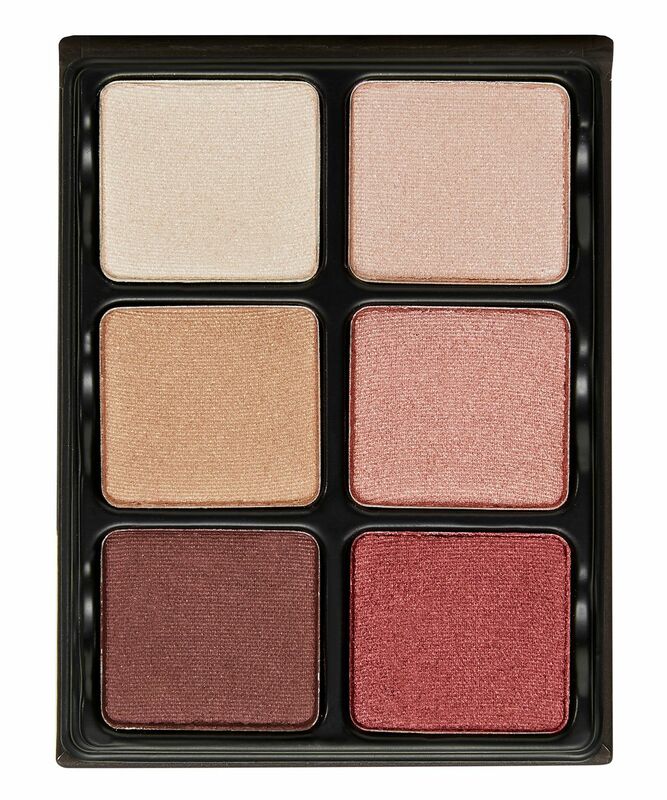 A mainstay in every top make up artist’s kit, these versatile six-shade matte and shimmer palettes offer incredible pigment payoff and unbeatable, camera-ready staying power in five flattering colour line-ups. 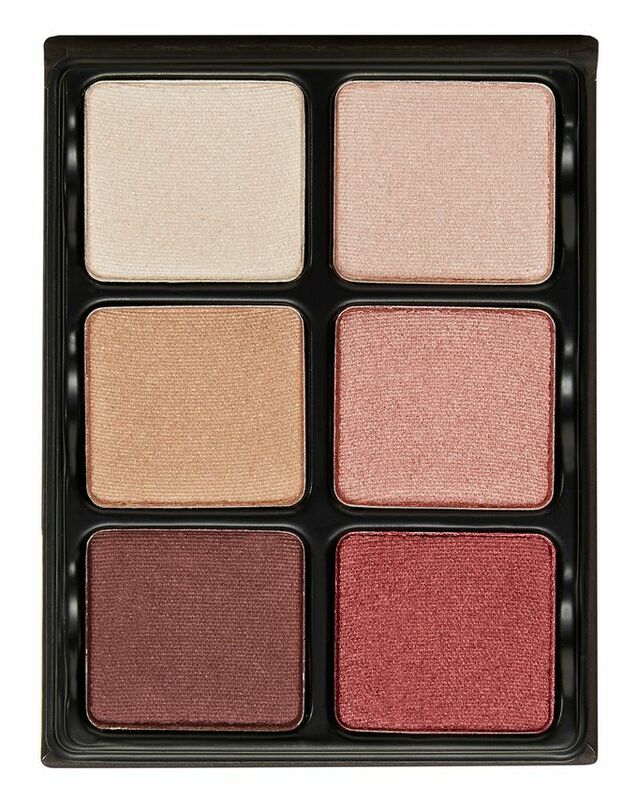 Each features mattes that range from light-to-medium tones, alongside glowing, satin-finish shimmers. ‘Theory I Cashmere’ is perfect for cool, smoky brown looks, with cream, cocoa and chocolate mattes and caramel to bronze shimmers. ‘Theory II Minx’ stars warmer browns, again offering cream, cocoa and coffee shades mingled with warm copper and bronze shimmers. ‘Theory III Chroma’ ranges from fresh white to midnight black mattes, via taupe, charcoal grey and beige satin tones. ‘Theory IV Amethyst’ is a spectrum of jewel-toned purples, from barely there lilac to rich, opulent violet, via flattering rosy mauves. ‘Theory V Nuance’ features an all-shimmering line-up of luscious rose, from beautifully blushed cream to dusky mauve-rouge, via pale peachy coral and perfect powder pink. ‘Theory VI Absinthe’ unites a spectrum of golden green, emerald and bronzed shades alongside two blushed base hues. Finally, ‘Theory VII Siren’ features a range of terracotta tones, with three matte shades from perfect peachy pink to on-trend orange, along with three new shimmering rose golden shades. Use each shade alone or combine for unique eye looks. Shades can also be used on brows, to contour the face or with a little water to create a liner. The shadows are fine and silky, very easy to blend. The colours are great for a neutral eye. I love it. I have the V Nuance and I’ll get a few others with this discount now. The shades are gorgeous, so easy and quick to blend and every morning I look at my 10+ pallets - and I grab this one 9 out of 10 times. Love love love! Stunning shades and very long wearing. Чудесная палетка! Пигментация , стойкость, цвета- все шикарно. ***A wonderful palette! Pigmentation, durability, colours, everything is gorgeous. I'm so, so in love with these theory palettes. I'm 46 so popular thinking would say I should stay away from shimmers...well popular thinking is wrong. With shimmers of this quality, all of us can wear them. They are genius. I have a particular soft spot for chroma as I have always loved a smokey eye and it does everything I want in as soft or dramatic way as I need. As I don't 'do' seen from space glitter and shine tho then this is for me. I get the look and the quality that lasts all day ( even on my lids which are trying their best to slide onto my cheeks). The combination of half matte half shimmer is great and there is almost no kick up from the shimmer so if you want to use just the mattes then you won't find stray glittery particles invading your lids. I got the Minx Palette and I honestly love it!!! I am into smaller palettes lately because I find the bigger ones confusing and this one allows for many different looks. Love it!! У меня палетка “Cashmere”, покупала её для того чтобы делать красивые коричневые смоки, и с этой задачей палетка справляется. Качество матовых оттенков действительно потрясающее, а вот шимеры - это немного не то, к чему я уже привыкла в палетках, например, Анастасии Беверли Хиллс. Шимеры здесь, скорее, напоминают сатин, чем что-то яркое и металлическое. Матовые - да, ради них стоит покупать эти тени. Они божественно тушуются и наслаиваются, и даже самый темный, коричневый цвет не оставляет пятен и беспроблемен в использовании.Также мне нравится, что тени вынимаются из палетки, их можно перегруппировать или вставить в другую палетку. ***** I have a “Cashmere” palette, bought it in order to make beautiful brown smoky, and the palette copes with this task. The quality of matte shades is really amazing, but the shimers are a bit different from what I already got used to in palettes, for example, Anastasia Beverly Hills. Shimers here, rather, satin than something bright and metallic. Matte - yes, for them it’s worth buying these shadows. They are divinely stewed and layered, even the darkest brown does not stain and is trouble-free to use.I also like the fact that the shadows are removed from the palette, you can regroup or paste it into another palette. I've heard a lot of good things about Viseart eyeshadows so I was super happy when CB added them to their family (thank you guys, you are great). Purple eyeshadows are my fave so I went for Amethyst. At first, you know, I thought 'yeah, it sure is good but not like WOW good'. But then I played with it and my other palettes (Too Faced, Huda, ABH...) and it really hit me - none of these formulas (they're all still very good formulas I love) can compare to Viseart! I put almost no effort into blending - these guys blend themselves! Never harsh edges or patchiness, not a single issue! And I'm amazed how they can be so pigmented and have zero to very little kickback (looking at you, ABH). So if you're a purple eyeshadow lover - do yourself a favour and buy this, you won't regret it! Also, don't worry that purple will be too much for an office job, these are very calm and never look like too much. A million stars, seriously.